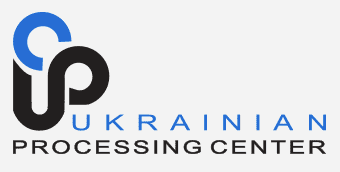 The Ukrainian Processing Center supports banks in Ukraine and other Central and Eastern Europe countries with processing services and software. It currently serves 25 banks in Ukraine and 8 banks in Eastern Europe, providing card payment, merchant acquiring, ATM channel management and ecommerce services. Founded in Kiev in 1997, it was the first processor in CEE to receive MSP and TPP status from Visa and Mastercard. In 2005, UPC became part of Raiffeisen Bank International, the Austrian-based international financial holding company. enter specific criteria for each test and to view reporting results. To accomplish this task, Softjourn designed and developed a POS devices simulator as a multi-threaded service for Linux, with a Unix domain socket interface. This service sets up virtual POS terminals and generates transaction traffic to a specified processing server. The service performs extended logging, which helps identify problems, such as when the transaction server fails to process all requests. Softjourn’s solution included a web interface through which UPC personnel are able to enter specific criteria for each test and to view reported results. The web interface was implemented using PHP and communicates with the service via a Unix domain socket. A fast Linux application capable of generating a large volume of transaction requests. Confidence in the tests run. Scalability. Efficiency – more tasks handled by operations staff due to a new reporting system on failures, actions performed and requests to the servers. Customer satisfaction – fewer complaints due to upgraded infrastructure. Reduced costs – no overspend on hardware. Gain Confidence – through better control of the testing process.